It’s felt like a funny run up to Christmas in a lot of ways; with a newborn seasonal fun has got rather pushed out of the picture. So many things have not quite happened, no cards written (sorry friends and family) no mince pies baked, no mulled wine and no turkey consumed as yet! We have still managed to mark it in little ways though. 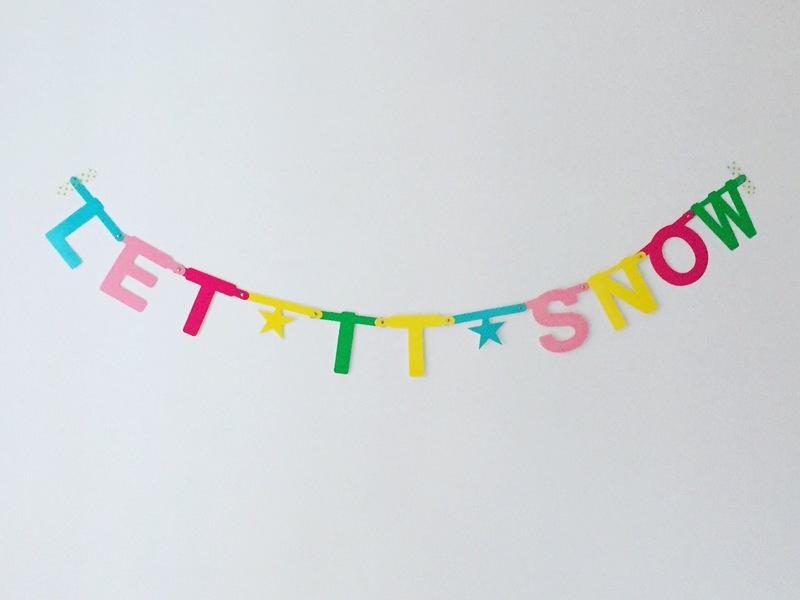 I finally started playing with my letter banner kit to make decorations for our kitchen. I love how cheery they look on grey grey days. It’s always a joy to get the favourite decorations out, I always forget about some and am happily reminded when going through the boxes. Also we finally had room for a real Christmas tree for the first time this year. 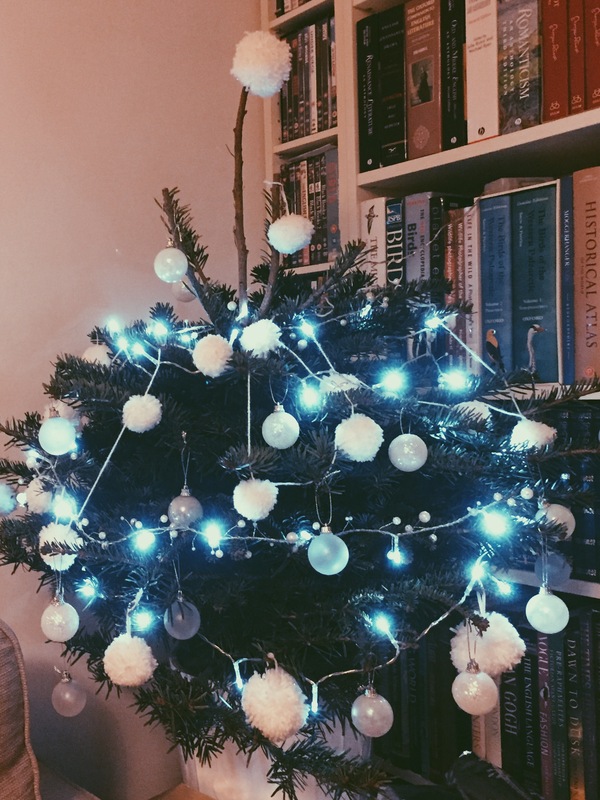 Even though it is quite small I love it so much and went a bit crazy with pom pom decorations that I made last year. 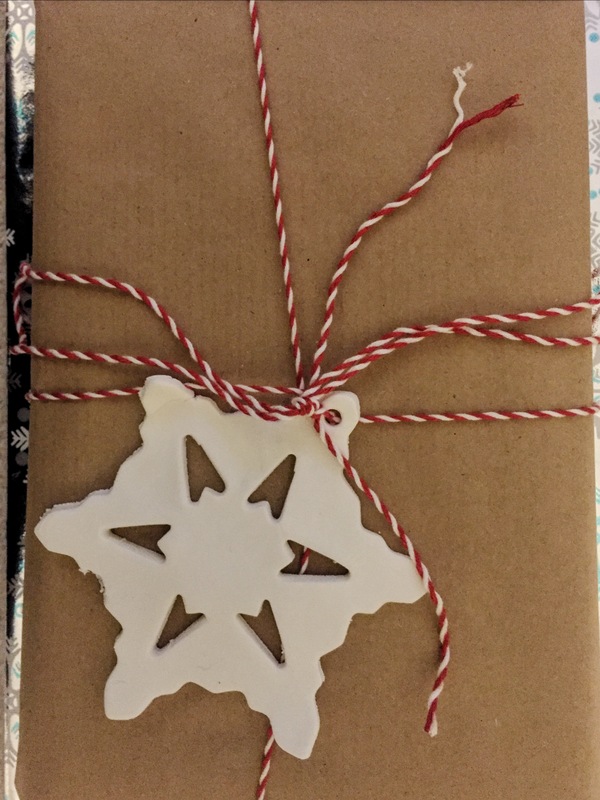 I did manage to do a bit of Christmas making as well, I played with cornflour clay to make a few (very simple and, err, ‘rustic’) presents – more on that another day. I had some clay left over to make some snowflakes to decorate the wrapped gifts. Having the little one does mean there are wonderful dressing up opportunities of course. 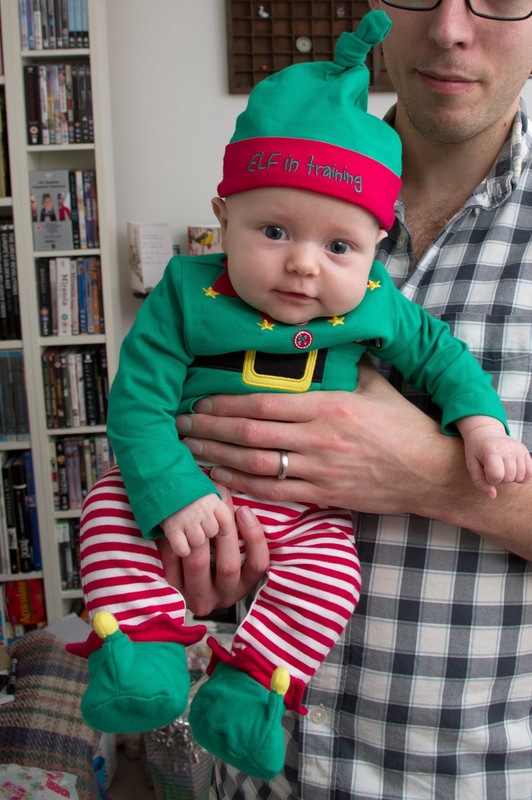 I’m so sad she’s already grown out of her elf costume – those feet! 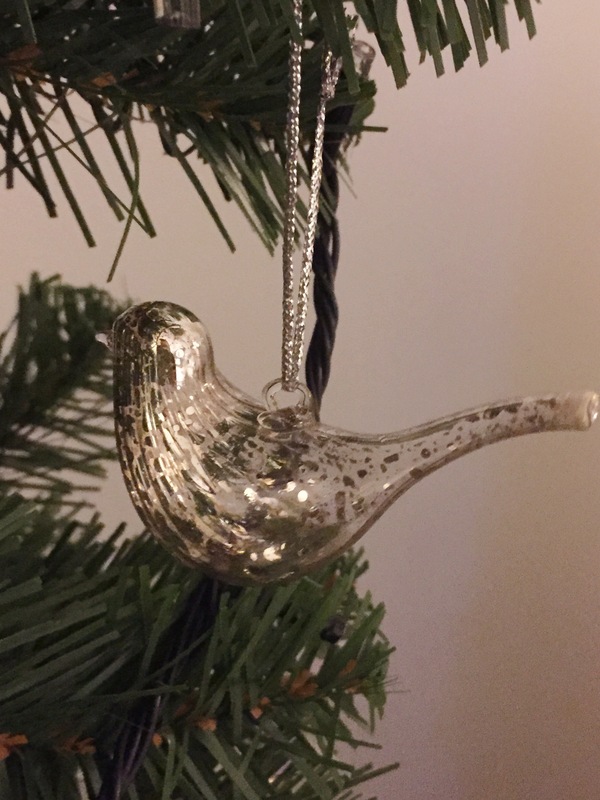 Wishing you all a very Merry Christmas – I hope it is filled with peace and joy. This entry was posted in Home, Make and tagged Christmas, pom poms, simple joys. Bookmark the permalink. I love the snowflakes, such a simple idea yet they look stunning. Merry Christmas! Thank you – they are so easy to make as well! Have a really happy Christmas. I’m sure your family & friends will forgive you. 🙂 Speaking of which, I still have something to post to Felicity. Now that’s a real delay!